2 heating plates of Ø 400mm. 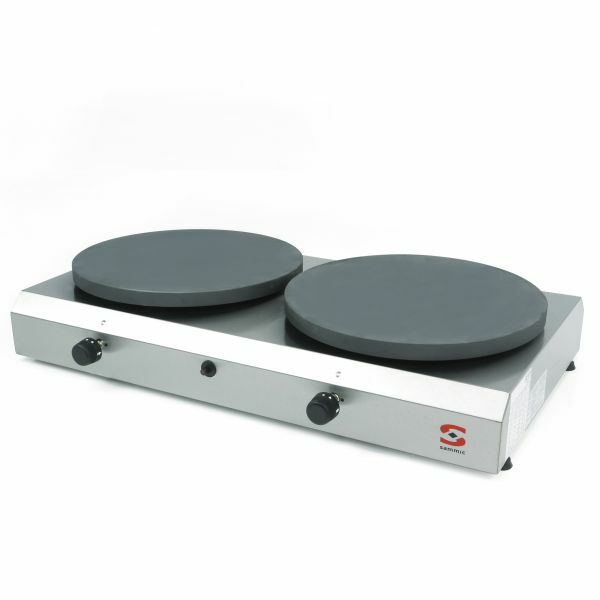 The non-stick plate surface is made by special treatment of the stainless steel or the cast iron itself with no extra coating. The burner'special round shape guarantees uniform distribution of heat onto the plate as well as perfect combustion without any gas loss.